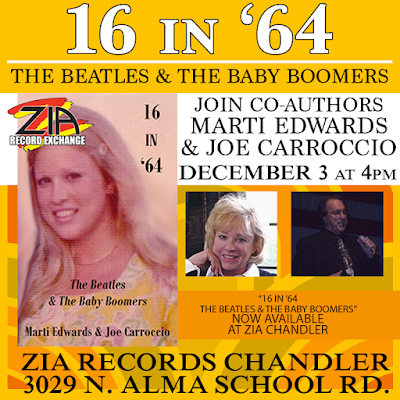 Marti Edwards and Joe Carroccio, co-authors of 16 in ’64: The Beatles & The Baby Boomers, will be signing copies of their book at Zia Record Exchange in Chandler, Arizona on Saturday, December 3 at 4 p.m.
Out of all four Beatles, John Lennon's solo career might just be the most polarizing. Frankly, John probably wouldn't have had it any other way. 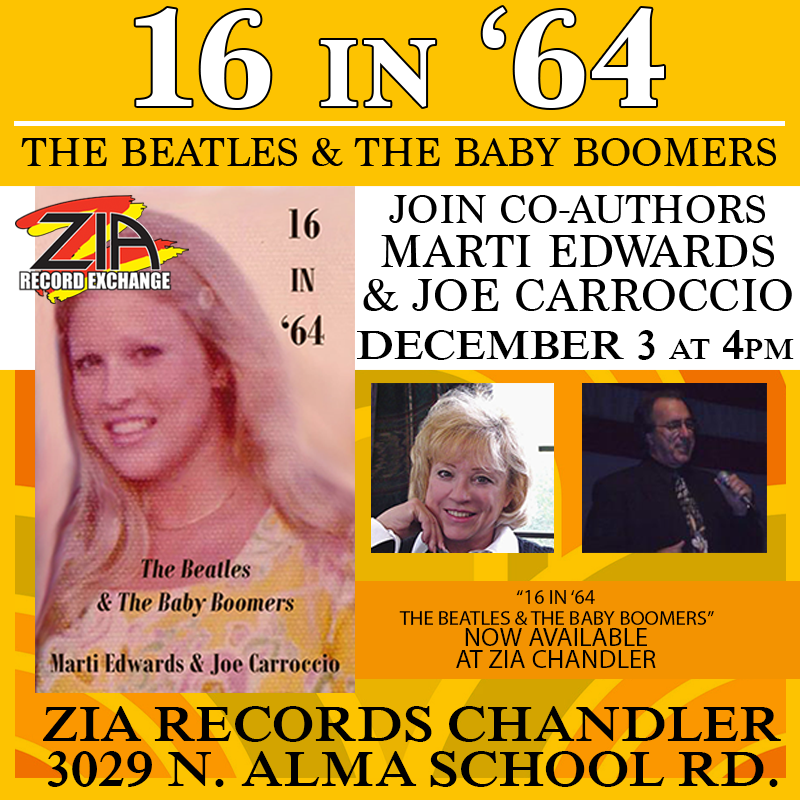 With song-writing skills every bit as good as Paul McCartney's, introspective tendencies as strong as George Harrison's, and a devil-may-care attitude that could rival Ringo Starr's, John was always going to be the Beatle most difficult to categorize in his solo career. Here, then, are John's eight solo (studio) releases, ranked by some odd combination of popular appeal, likability, honesty, and distinct lack of Yoko Ono presence. This was John's second solo release, hitting US stores in September of 1971. The title song, of course, has become something of an anthem for the ages, despite its reliance on idealistic cliches. Say what you will, it's still a pretty tune, and you probably know all the words. Outside of that, "Crippled Inside" is both catchy and revealing, "Jealous Guy" is powerful and beautifully crafted, "Gimme Some Truth" is just angry enough without going overboard to warrant a few sympathetic fist-pumps, "How?" is poignantly resonant for anyone who's felt like just throwing their hands up in the air and asking those same questions, and "Oh My Love" (featuring some spectacular guitar work by George Harrison) is like a craft beer/wine that's too sweet to drink on the regular, but nice enough that you'll go back to it once every couple of weeks. Recorded in 1974 during John's period of freedom from Yoko, this album is the result of John re-uniting with old friends and discovering his old creative muse. He finally got his first number one hit since leaving the Beatles, and his compositional abilities are on full display in this album. Whether pairing up with Elton John on catchy tunes like "Whatever Gets You thru the Night," or exploring lush harmonies and exotic chord progressions on songs like ""#9 Dream" or "Bless You," this album shows us what John Lennon could be like as a solo artist when his creativity wasn't being tightly controlled. And yes, "Beef Jerky" absolutely rips off the guitar riff from Paul McCartney's "Let Me Roll It." John went through Primal Scream therapy and released this album in 1970 as his first solo album, and a direct response to what he was discovering about himself in those therapy sessions. As a result, the songs are explosive, direct, gut-wrenchingly honest, and for all of those reasons, alternatively refreshing and too much to handle. "Isolation," "Look At Me," and "God" are, for my money, the most beautiful and revealing tracks on the album. "Hold On" is hopeful and gorgeous, and "Love" is amazingly simple and poetic. 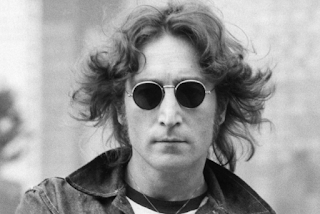 This is Lennon at his most raw, and while songs like "Mother" have a certain appeal, the listener can also feel a little embarrassed for being exposed to emotions so profoundly uncensored. This is the last album John recorded before taking a lengthy "sabbatical" from Yoko, and even the album's cover -- John walking away from a mountain that is Yoko's face -- shows his discontent and a readiness for something new. That sense of wanderlust and aimlessness is very present in the album's tracks. The title track is brilliant, even if it reveals John in a "between" state. It's a partial return to the themes of "Imagine," but it's also a statement of restlessness and wanting more. From a purely musical standpoint, "Out the Blue" features some of John's best guitar work, and the hidden gem "I Know (I Know)" is an extremely catchy tune with all of the tips-of-the-cap to Beatle-style music you could want -- the intro is very "I've Got a Feeling," and the lyric even references "Getting Better" with the line "and I know it's getting better all the time." But make no mistake: there are some real clunkers on this album, and those probably outnumber the shining moments. This was the last album John released before he was murdered in December of 1980, and for that reason it has historically been held in very high esteem. It definitely has some magical tracks worth listening to, but its major drawback is that every track is followed up by a Yoko Ono track. In other words, this album is only 50 percent listenable. But you have to love it, if for no other reason than for the instant-gold tracks "Beautiful Boy," "Watching the Wheels," and "Woman." Yes, this an album entirely made up of John's cover versions of old Rock 'n' Roll standards, but there's a certain value in that. John formed The Beatles as a rock 'n' roll group, and these were the songs he and the lads cut their musical teeth on. This is how John learned to be a rock musician, and it's fun to hear him go back and revisit those tunes nearly two decades after they happened. In particular, he gives great performances on "Be-Bop-A-Lula," "Stand by Me," and "Ain't That a Shame." Released after his death, this album shares similar space with Double Fantasy in that there's a bit of nostalgia surrounding it, but it also suffers from having way too much Yoko Ono presence. "I'm Stepping Out," "Nobody Told Me," and "Borrowed Time" are great tunes, but not much else is there to save this album. The best music is the music that transcends time. Lyrics that are universally relatable, songs that aren't easily identifiable with a fixed period in history that may or may not be currently relevant. This is why many of John's "protest" songs seem a bit out-dated today, and it's also the reason why this album is probably the worst thing he ever recorded. It's easily John's most political album, and for that reason, it suffers. "New York City" is probably the only track that's remotely still fun to listen to, with "John Sinclair" holding a very distance second place -- no, the political issues surrounding John Sinclair are no longer relevant, but at least it's a fairly catchy tune. And, come on ... that opening track? No matter how spot-on it might be concerning women's rights (even today), you can't use that word. Agree? Disagree? Prefer a different ranking? Share your thoughts on Facebook at 910 Public Relations or on Twitter at 910 PR.